Nasce il capitolo ON-LINE per dare la possibilità a chi non ha potuto partecipare alle nostre iniziative culturali di viverle virtualmente. it increases in value, instead of diminishing. Every year we arrange and host cultural events at Villa Spinosa because we like to share and enhance the deep connection among culture, wine and knowledge of the sorrounding area. let's take a walk together. The head quarter of our wine production, the drying lofts for the drying of teh grapes and the cellars for the aging of Villa Spinosa's wines turn into meeting and discussion venues, beautiful and elegant settings in the heart of the Valpolicella. The ancient cellar, the drying loft, as well as the courtyards and the Italian style garden create a unique backdrop for the cultural events, from theatre to cinema, from photo exhibitions to book readings and concerts, all open to the public. The romantic Italian style garden facing the estate's vineyards sorrounds the 19th century villa in a game of mazes and green spaces: walkways, roses and lawns. Dated back to the beginning of the 20th century, it's a mixture of various elements of countriside living: the Italian Classical style, the English garden style from the Romanticism and the local tradition. In the summer time it's the perfect setting for cultural events and concerts under the moon. The old courtyard facing the villa offers the guests a view on the whole estate. Sorrounded by the Italian style garden and by the 19th century farmhouses, restored by respecting the old rural architecture, the courtyard hosts open air cinema, comedies and book readings in the summer time. Among the spaces Villa Spinosa puts at disposal, the external courtyard is a small but familiar place, close to the wine shop of Villa Spinosa, Enoteca in Tinaia, and the residence Corte Spinosa, both housed in the old and now restored farmhouses. The cottages, the lights and the two old vines on the walls create a unique atmosphere and a special setting for theatre and concerts. PalaJago is a large room with beams and big windows offering an amazing view over the Jago cru vineyard. From a practical space to an elegant setting: built to let the grapes for Amarone dry in autumn, it turns into a special venue for cultural events, cinema, concerts and wedding receptions. The old drying loft is a space with big windows, beams and wooden floor over the fermenting cellar. 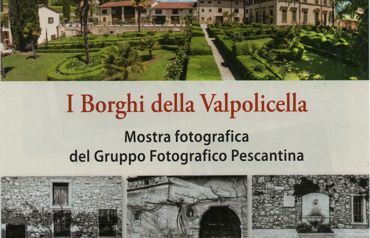 The drying practice is a cultural heritage from the Valpolicella and we think it's important to turn this space into a resource for cultural events bond to this land, such as: photo exhibitions, vernissages, book readings. The wine is a unique ambassador of Valpolicella culture. That's why we created spaces to teach people about the world of wine. The Tinaia was the ancient fermenting cellar, now restored by respecting the traditional rural architecture and turned into a tasting room and a meeting space. 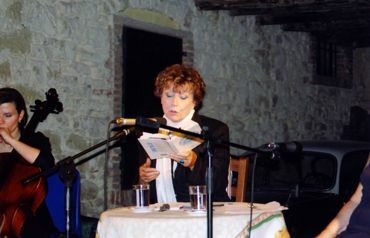 There are many and different events managed and hosted by Villa Spinosa along the years thanks to the initiatives of the Cultural Association Francecsa Finato Spinosa. 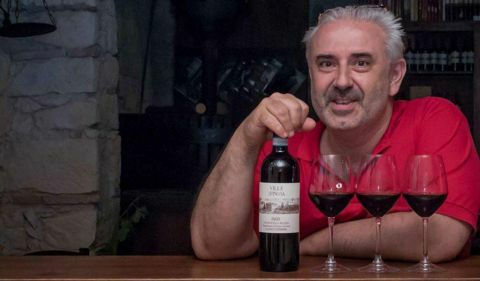 Well known writers, judges, journalists, athletes and actors shared our philosophy of keeping an eye on the territory, the Valpolicella, and the world of wine, both offering such a lot to everyone. The image and the development of a territory is also bond to its culture, an heritage to be handed down by promoting events, shows, concerts, guided tours, trips and sportt activities. 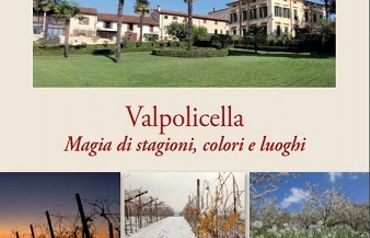 Here is our little handbook of tips and suggestions to let you know and appreciate the Valpolicella and its sorroundings.